There was once a day when buying warm winter boots was an almost mindless task. Warm and waterproof – those were the only standards. 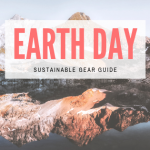 As technology evolves and our material options increase almost exponentially, boot shopping becomes more time consuming. With each new innovation on the market, more pre-purchase research is called for. Tahoe Mountain Sports is proud to carry a large selection of stylish footwear from Ugg Australia for both women and men. 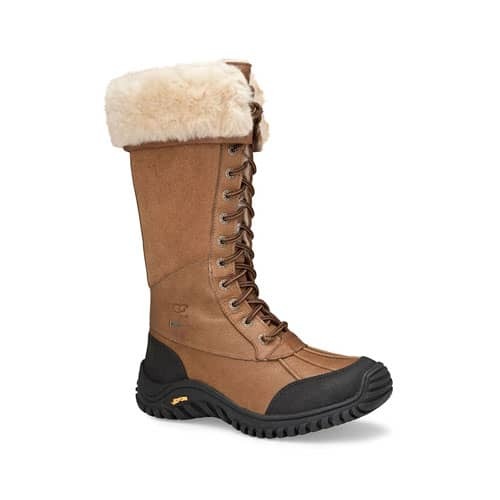 UGG boots feature two-faced sheepskin lining that insulates well and is very comfortable. The inner skin-side is soft and the outer side provides great insulation and is more dense than other popular synthetic materials. 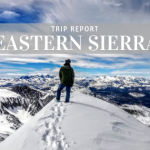 Sheepskin can be worn year-round – it wicks away moisture and naturally regulates your body temperature, keeping you dry and warm in the cold, and dry and cool in warmer climates. Sheepskin boots are incredibly comfortable with bare feet. In fact, Ugg boots work their best without socks. Ugg Australia was originally started when a young surfer named Brian Smith came to the U.S. in 1978 with a bag of sheepskin boots. Brian was seen changing in and out of his sheepskin boots between surf sessions, and the brand eventually caught on in California. Ugg now makes much more than the Classic Ugg Boot you’ve seen so many times – they make casual slippers, tall dress boots and everything in between. 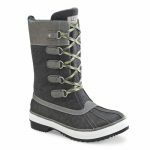 The Adirondack Boot Tall offers a balance of high fashion, full-grain waterproof leather upper and a Vibram sole for extra grip on icy/slippery surfaces. 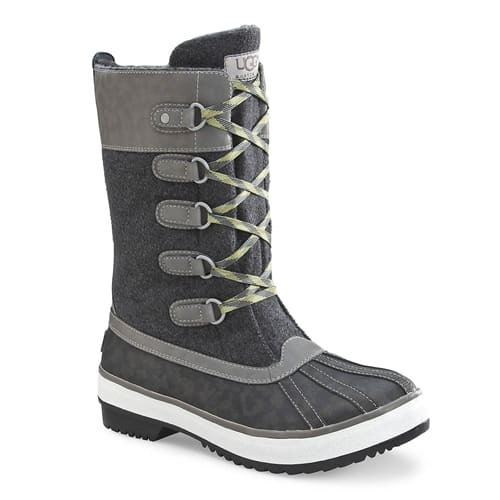 The women’s Classic Short Boot has a Grade-A bomber twin-face sheepskin upper and suede overlays. This is the original Ugg boot design with sheepskin lining. A fashionable and comfortable Ugg boot fully lined with wool felt and a more urban feel, the Ugg Baroness boot is great in both the city where it rains and snows, or out on the streets in your favorite mountain town. These men’s Ugg boots are made of rich leather and lined with plush sheepskin for ultimate comfort in any weather. 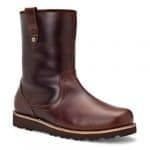 The Ugg Stoneman boot will teach any man that Ugg boots and sheepsking comfort are not just a luxury for women! The Dakota slipper is a stylish, comfortable sheepskin moccasin for use indoors and out. With removable laces and more traction on the sole, these slippers are extra versatile. UGG Australia uses only Grade-A sheepskin. Low-quality materials often feel more rough, can cause itching, and are overall less comfortable. Grade-A sheepskin naturally breathes very well and wicks moisture away. Because of Ugg’s excellent thermo-regulating properties, Ugg boots can be worn year-round in both warm and cold temperatures. Not only women have the luxury of stylish sheepskin boots. 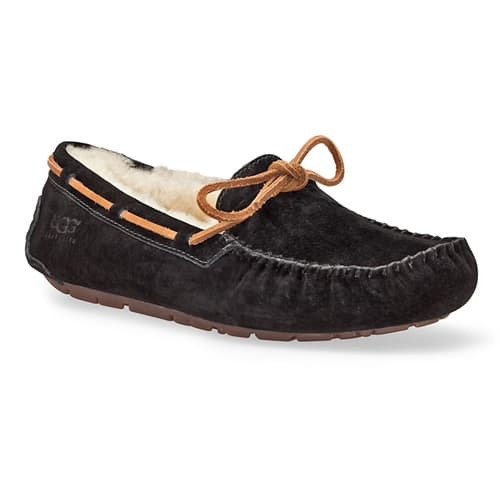 Ugg makes a full line of men’s sheepskin boots and fashionable men’s footwear. 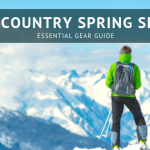 Tahoe Mountain Sports carries the more casual Beacon Boot, the fashionable and super-comfortable Stoneman Boot and the Ascot Slipper, which is great for lounging around the house, the office and quick errand runs or dog walks outdoors. Ugg boot maintenance is simple. Hand-wash sheepskin only with clean, cold water and diluted soap. Scrub the boot gently, both inside and out. Sheepskin is delicate and can be damaged if not treated with care. 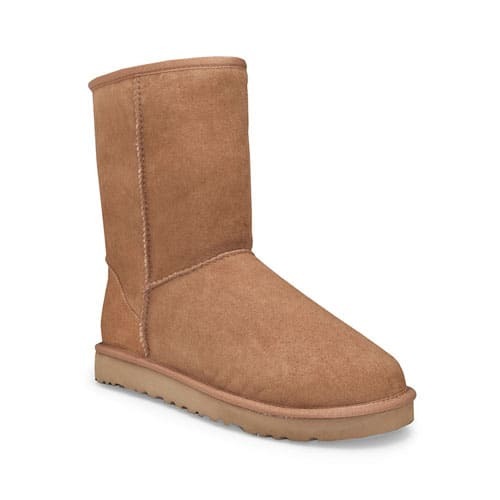 Rinse your Uggs with cold water and let them air-dry, shaded from direct sunlight. 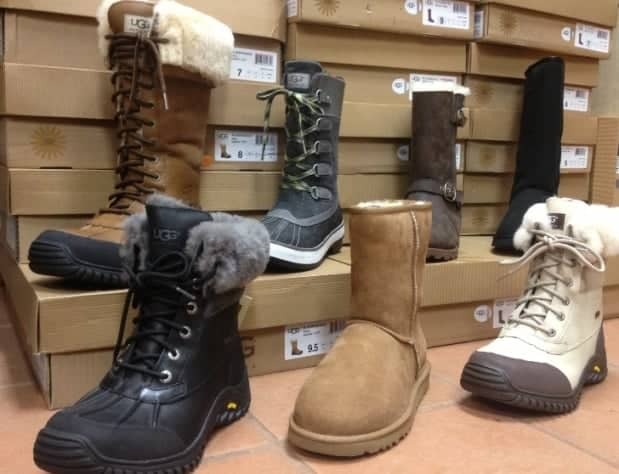 Believe it or not, Uggs are one of the most mimicked products on the black market. To counter this, Ugg Australia puts holographic tags inside their original boots. Those holographs are too expensive to manufacture, so watch for Uggs without a holographic label. Beginning soon, Ugg will add QR codes to the tags in their original footwear so you’ll be able to track your Ugg boots directly back to the manufacturer!